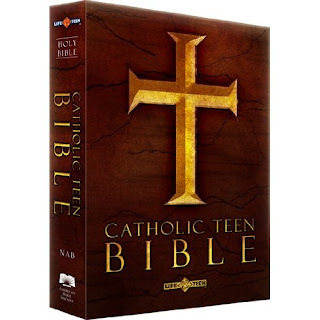 I'll try to supply more info on this youth Bible once it becomes more widely available. I have it and have used it with our Confrmation kids. It's pretty much in the line of the Prove It! Bible (OSV) and the Fireside Youth Bible. What I mean is it is a rather typical NAB edition with supplemental glossy color inserts. 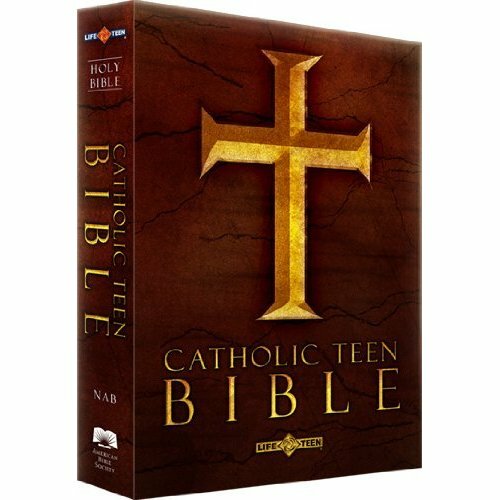 Not thorough enough to use as a catechetical tool, but definitely an excellent choice to give as a gift to a confirmand or young adult. Should have mentioned that this is not a brand new publication but has been out for a few years, but not many. Thanks for the info. I had never heard of it until yesterday. I go to a number of Catholic bookstores in my area pretty regularly and have never seen it. I got this for my parish's youth group. I's published by the American Bible Society, and if I had to guess (since I've never seen one before), I'd say that aside from the thick glossy pages at the front and back its the same as other ABS Bibles. It has the same two-column format of other NABs, except it lacks the solid lines that CBPC Bibles have and it has the cross-references under the notes instead of above them. Maybe the font is slightly smaller than my CBPC NAB, but I'm not sure about that.